There are different dog ear shapes and types when it comes to the world of dogs. After all, this is not surprising. There’s no shadow of doubt that by tinkering with genetics, humans have made the dog the most varied species on earth, a practice leading to different body sizes, coat colors and even different types of ear shapes. Interestingly, in the world of dogs, there’s much more than erect ears and pendulous ears which are what most of us are accustomed to. So today, let’s discover a variety of dog ear shapes and types and the quite colorful terms used by fanciers and some kennel clubs to depict them. And these are just a few, as there are many more! As the name implies, these ears are upright, and therefore, pointing upwards. This is the traditional ear position seen in many “wolfish looking” dogs such as German shepherds, Belgian malinois and several Nordic breeds such as Siberian huskies, Alaskan malamutes and Samoyed. Erect ears are also found in smaller dog breeds such as Norwich terriers, west highland white terriers and Yorkshire terriers. 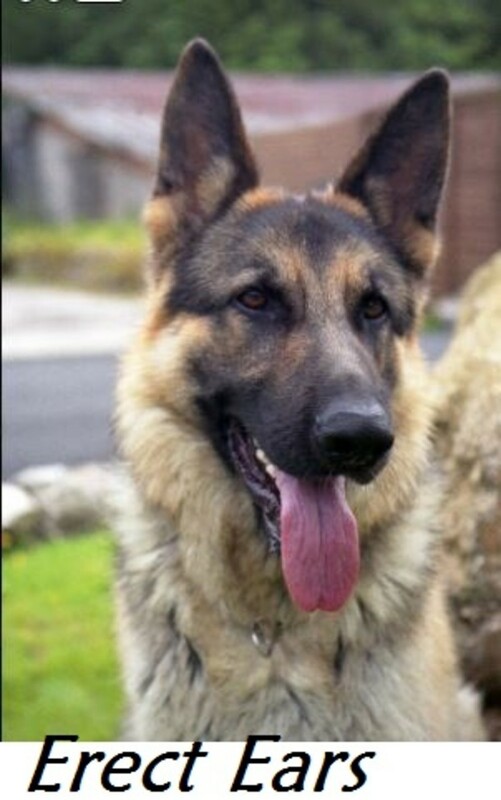 Many people are attracted by erect ears because it gives dogs an over all wolfish, alert and intelligent look. When you see Dobermans, great Danes and boxers with erect ears, what you are likely seeing are dogs who were born with floppy or semi-erect ears who went through a surgical procedure to make them appear erect. As the name implies, drop ears are ears that are pendulous and therefore are hanging down. Interestingly, this type of ear is often associated with domestication. Even back in 1923, German shepherd breeder Max V. Stephanitz, speculated that floppy ears are the hall mark sign of domestication. This process was proven in the famous “farm fox experiment.” As wild foxes were selectively bred based on docile temperaments, the erect ears started becoming floppy and new coat colors replaced the previous coat color meant for camouflaging in their natural environment. However, these changes only partially affect dogs as they still depend on their hearing and many breeds were selectively bred to be alert watchdogs. Many dog owners are attracted to dogs with drop ear shapes because they tend to give a neotenous, puppy-like look. 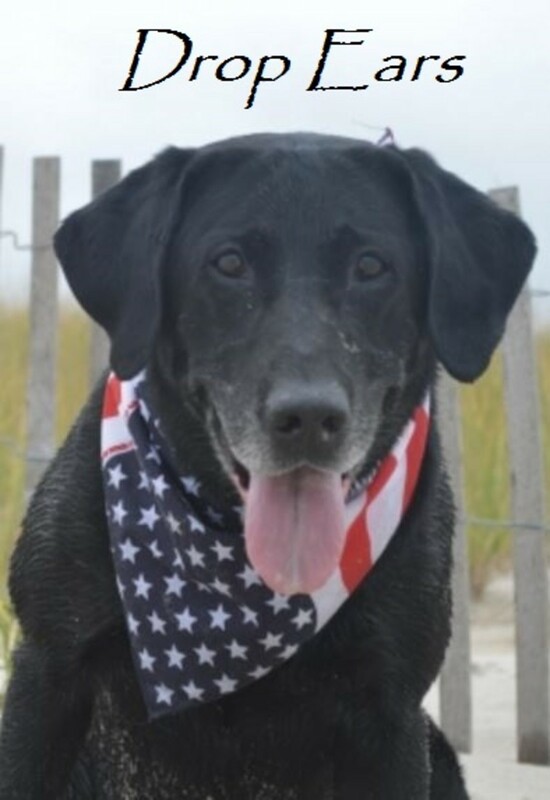 Labrador retrievers, golden retrievers, and Chesapeake Bay retrievers are a few breeds with drop ears. These breeds were bred for swimming and therefore there are chances those drop ears were selectively bred for to prevent water from entering the ears, explains Christine Zink in the book “Peak Performance EBook: Coaching the Canine Athlete.” Many other dog breeds are known to have drop ears. 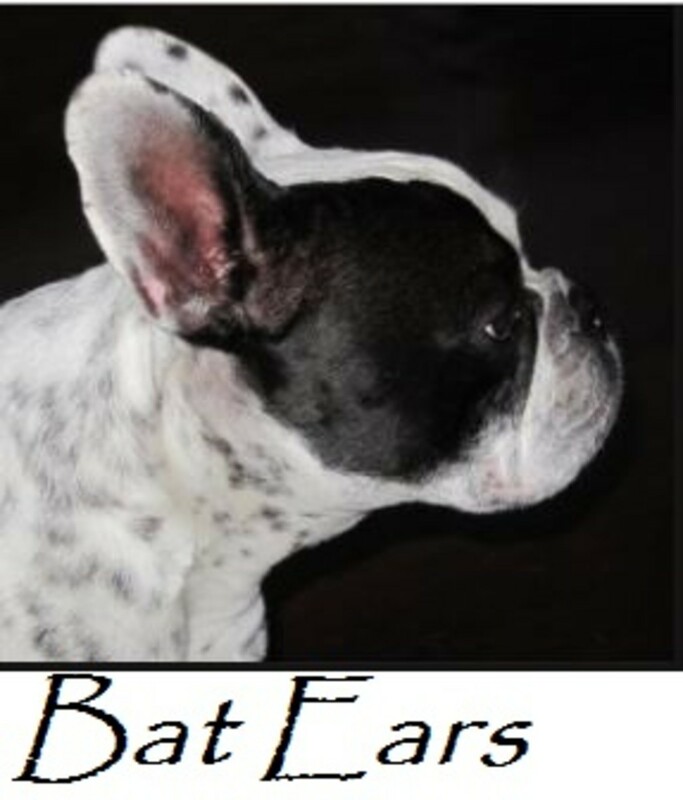 Bats are known for having very big ears, so as the name implies, a dog with bat ears has erect ears that are disproportionate compared to the head. According to the American Kennel Club, the French bulldog has bat ears with ears that are broad at the base, elongated, set high on the head and with a rounded top. Bat ears are so distinctive of this breed that anything other than bat ears is means for disqualification. Technically, this ear is erect but it’s characterized by the fact that the skin folds backwards causing the end part of the pinna of the ear to fall to the side. The name of this ear likely derives from this ear’s shape due to the folds resembling somewhat the petals of a rose. According to the American Kennel Club, whippets must have rose ears that are small, fine in texture and, when the dog is relaxed, should be, thrown back and folded along the neck, while when attentive the fold should be maintained. 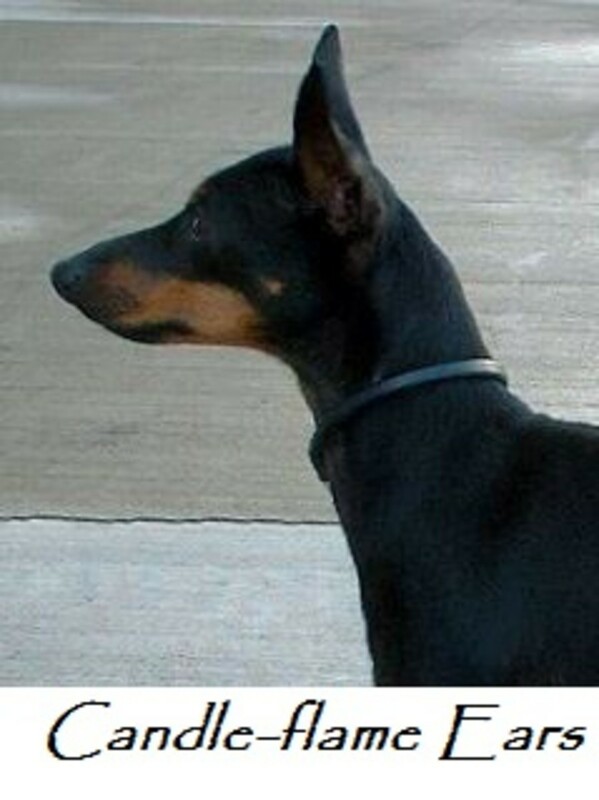 Erect ears are severely penalized in this breed. 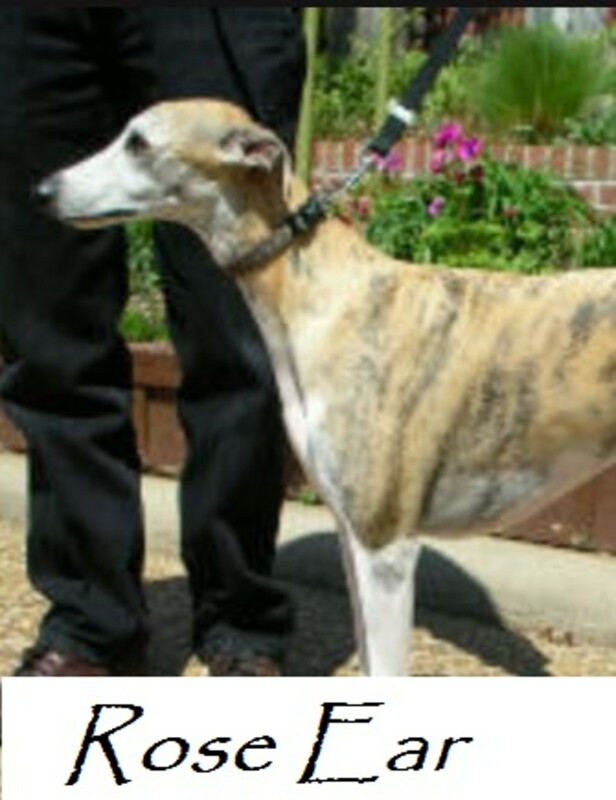 Other dog breed with rose ears are greyhounds and Italian greyhounds which also boast ears that are small, fine in texture, and thrown back and folded except when excited or alerted. Also known as semi-erect ears, cocked ears or tipped ears, some dogs may have ears that are somewhere in between erect ears and drop ears. In dogs with semi-pricked ears, the ears are basically erect, but they tend to fold over at the tip. 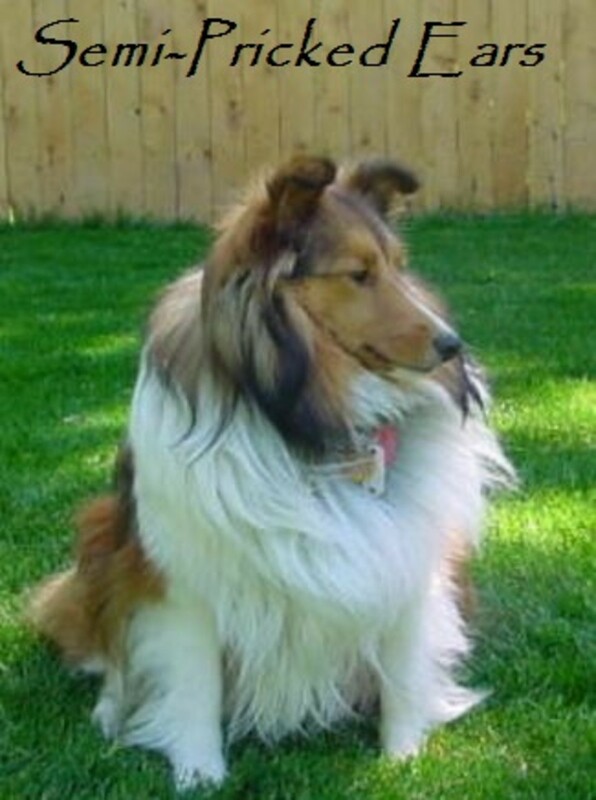 Dog breeds with semi-pricked ears include the collie, Shetland sheepdog and fox terrier. According to the American Kennel Club, the border collie may have ears that are erect or semi-erect. When semi-erect the ear tips must fold forward or outward to the side. Cute as a button! This ear may at a a first glance appear semi-pricked, but instead of the ear bending over at the tip, the skin fold is longer and therefore covers a larger amount of the ear. The name “button ears “derived from the appearance of this ear which somewhat resembles the buttoned fold seen on pockets on a shirt. This ear type is seen in several breeds. In the pug’s breed standard, the American Kennel Club, describes the ears in this breed as being small and soft, like black velvet. Two kinds are accepted – the “rose” and the “button” but preference is given to the latter. Other breeds with button ears include the Jack Parson terrier and the fox terrier. There are chances that this ear shape was selectively bred for in small terriers so to protect them from considering these breeds were bred to hunt in tunnels. This ear type is characteristic of the papillon breed. The butterfly ear is an erect ear that is carried obliquely and, as the name implies, tends to move like the spread wings of a butterfly. 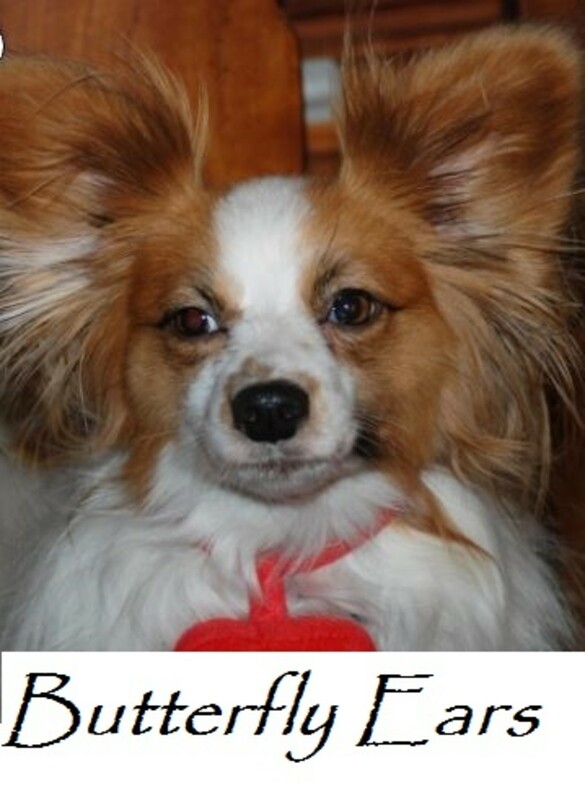 Not all papillon dog comes with this ear type though. Within a litter, some specimens may exhibit the typical butterfly ear while some others may carry a dropped ear. The drop-eared variety is known as phalene which means moth-eared in French. This type of ear is exclusively seen in the English toy terrier. As the namme implies, this ear resembles somewhat the flame of a candle. Basically, these are long and narrow erect ears. According to the Kennel Club of the United Kingdom, this breed has candle-flame ears that are erect, set high on the back of the head with slightly pointed tips. 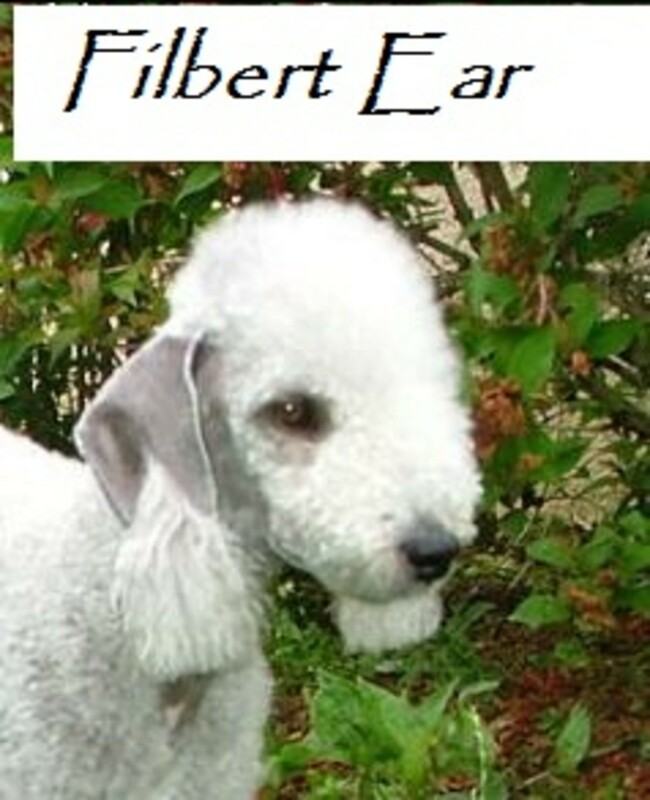 The Filbert ear is a unique type of ear that is only seen in the Bedlington terrier. This ear is triangular in shape with rounded tips and is velvety in texture. Its most characteristic trait is the small silky tassel found at the tip. The name of this ear derives from the word “filbert” which depicts a nut of the hazel family. This an extreme form of the drop ear characterized by very long ears that hang down a lot and have distinct folds. It’s the ear that touches the ground as often seen in the blood hound and basset hound. This type of ear is characteristic of dogs selectively bred for tracking.